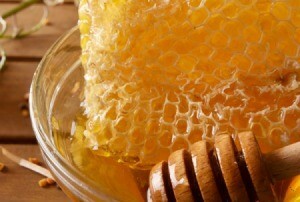 There are a number of health benefits that can be enjoyed with the regular consumption of raw honey. This is a guide about using raw honey as a laxative. Is raw honey a laxative? Yes, here's more information. It can increase hemoglobin count and treat or prevent anemia caused by nutritional factors when combined with vinegar. It can help arthritic joints, fights colds and respiratory infections. It can help to boost gastrointestinal ulcer healing. It works as a natural and gentle laxative. It provides an array of vitamins and minerals. It supplies instant energy without the insulin surge caused by white sugar. The company that I work for owns a honey company. I have to do research some time for my boss and here are some uses for cinnamon & honey. Bet the drug companies won't like this one getting around. According to Snopes this is a study in progress. Heart Disease: Make a paste of honey and cinnamon powder, apply on bread, instead of jelly and jam, and eat it regularly for breakfast. It reduces the cholesterol in the arteries and saves the patient from heart attack. Also those who have already had an attack, if they do this process daily, they are kept miles away from the next attack. Regular use of the above process relieves loss of breath and strengthens the heart beat. In America and Canada , various nursing homes have treated patients successfully and have found that as you age, the arteries and veins lose their flexibility and get clogged; honey and cinnamon revitalize the arteries and veins. Bladder Infections:Take two tablespoons of cinnamon powder and one teaspoon of honey in a glass of lukewarm water and drink it. It destroys the germs in the bladder. Cholesterol:Two tablespoons of honey and three teaspoons of cinnamon powder mixed in 16 ounces of tea water, given to a cholesterol patient, was found to reduce the level of cholesterol in the blood by 10 percent within two hours. As mentioned for arthritic patients, if taken three times a day, any chronic cholesterol is cured. According to information received in the said Journal, pure honey taken with food daily relieves complaints of cholesterol. Colds:Those suffering from common or severe colds should take one tablespoon lukewarm honey with 1/4 spoon cinnamon powder daily for three days. This process will cure most chronic cough, cold, and clear the sinuses. Upset Stomach:Honey taken with cinnamon powder cures stomach ache and also clears stomach ulcers from the root. Influenza: A scientist in Spain has proved that honey contains a natural ' Ingredient' Which kills the influenza germs and saves the patient from flu. Pimples:Three tablespoons of honey and one teaspoon of cinnamon powder paste. Apply this paste on the pimples before sleeping and wash it next morning with warm water. If done daily for two weeks, it removes pimples from the root. Hearing Loss: Daily morning and night honey and cinnamon powder, taken in equal parts restore hearing. Remember when we were kids? We had toast with real butter and cinnamon sprinkled on it! You might want to share this information with a friend, kinfolks and love ones; everyone needs healthy help information~ what they do with it is up to them. A tidbit to offer, I reduced some honey - got straight from the bee keeper, and as I was doing the royal honey, every time I went through the kitchen, I was finger dipping. I even walked a mile in 5 minutes. Talked to my pharmacist who said it was like taking caffeine if I did it all day long. Like the energizer bunny--kept going!